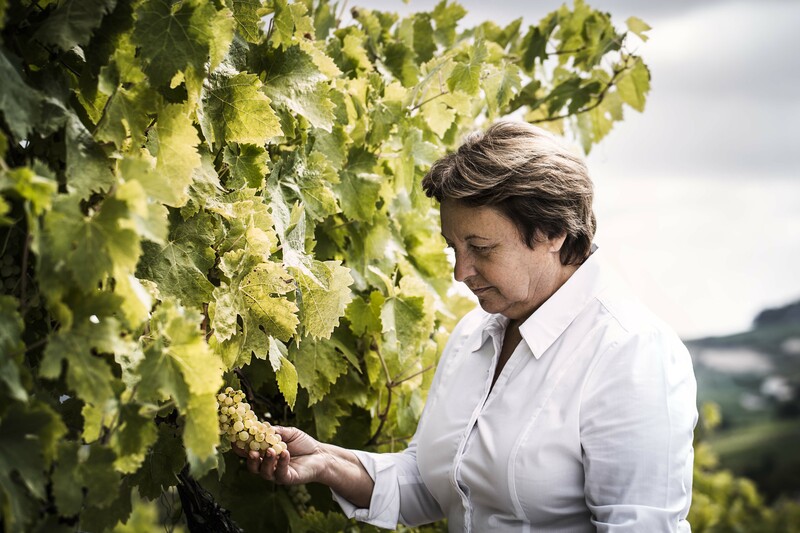 Pierrette Trichet, the cellar master of Rémy Martin. Photo: Courtesy Rémy Martin. What did you drink this morning—coffee or tea? What did your tea smell like? What did your coffee taste like? If you are stymied for words, you are not alone. Humans are very good at remembering and describing what they see but ask them to describe smells and taste and they become quiet. Wine writers and perfume “noses” (professionals who mix and create scents) are exceptions to this rule. They make a living out of discerning and describing smells and tastes. The rest of us merely roll our eyes when they describe, say, the 2009 vintage as smelling of “gooseberries, tar, and burnt leather”. What the heck does burnt leather smell like? The technical term for this is “olfactory memory”, or cataloguing and articulating what your nose smelled. 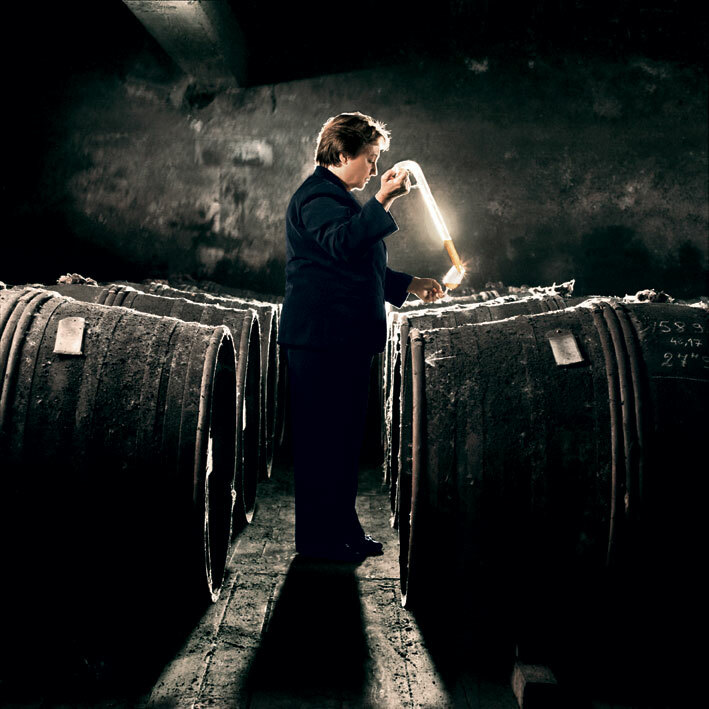 The cellar master of the cognac house Rémy Martin, Madame Pierrette Trichet, 61, has a magnificent olfactory memory. She was probably born with it but the decade she spent as cellar master probably didn’t hurt either. For the Louis XIII, Trichet blended 1,200 aged eaux-de-vie—as the distilled wine that eventually becomes cognac is called. Each of the big four cognac houses do this but they blend about 200, not 1,200 eaux-de-vie. And blending great cognac is all about olfactory memory. Yann Fillioux is the seventh-generation (dynasties don’t just rule Indian politics) master blender of Hennessy. According to the Hennessy website, he meets every morning with his tasting team to choose aged eaux-de-vie—some 125 years old and some a mere 25 years old. He then blends these to create a cognac that epitomizes the house style—year after year. Hennessy has cognacs going back to 1800—the largest stock of old cognacs in the business. Like a chef, the goal for any cellar master is consistency, usually achieved through a combination of formula and instinct. A blend, for instance, might include 5ml of the 1966, 10ml of the 1993, 3ml of the 1857, 5ml of the 2000 and so on. The problem is that next year, each of these vintages has changed because of the ageing. So you have to taste and jiggle the formula a little bit to achieve the same “house style”. Achieving this has everything to do with scent memory. “Every day, I taste eaux-de-vie. I always try to memorize aromas, to train myself by describing everything that I can recognize,” says Trichet in an email interview. At every large cognac house, be it Martell (the oldest), Hennessy (the biggest), Rémy Martin (the only one with a woman cellar master) or Courvoisier (loved by rappers), the smelling and tasting begins when the house receives over a thousand new distillations or eau-de-vie nouvelle from various producers in cognac. The tasting panel chooses which of these small producers to buy from and these chosen eaux-de-vie make it to their cellars for double-distillation and ageing. Most cellar masters follow a ritual for tasting. At Martell, cellar master Benoit Fils and his team taste about 3,500 eaux-de-vie every year, according to the company website. They also shepherd the cognacs that are ageing in their cellars, deciding—based on smell and taste—whether to change barrels or to stop the ageing by transferring the liquid into a “demijohn”. The whole process resembles the Indian arranged marriage. First you weed out the prospects and choose the ones that make the cut. Then you suss the candidates by throwing them in with family members (or barrels) to see how they age. Then you perform a marriage by mixing the bride and groom. In cognac’s case, the marriage comes from mixing hundreds of eaux-de-vie. Martell’s Fils says cellar masters have to be “visionaries” with respect to predicting how the blend of 200 or 1,200 will turn out. The most boring part of blending cognac has to do with house style. Each of the cellar masters believes that they are “custodians” of a house style and have to create cognacs that taste the same whether you drink them in China or the US—currently cognac’s biggest markets. The tasting panel is allowed some wiggle room but no imaginative leaps or flights of fancy. Two years ago, when Patrice Pinet, cellar master of Courvoisier, persuaded the house to print the cognac’s age on the bottle, it was considered revolutionary in the business. Cognac goes well with Asian food, or so Maurice Hennessy, owner of Hennessy, says, and of course he would say that, given that cognac houses are looking at Asian markets beyond China. Hennessy reportedly drinks his cognac with Vietnamese food. The next time you sit by a fire, pour some cognac into your snifter, light up a cigar, take a sip and enjoy it. But also try to articulate to your partner what it is that you are tasting. Shoba Narayan likes the ethereal flavours of a Delamain cognac. It irritates her that this one-word description is the best she can do. Nice article. Indians are probably ill-equipped to describe the smells in English which is a non-native language to them and they can describe it better in their own language. Smell and taste are by association e.g. “smells like [something] or tastes like [something]” and also be mindful that these descriptions vary across writers. You know, Madhumita, I never thought of that. You are probably right. Sheila Dhar– in her book “Raga & Josh– says that she stopped speaking English for months and found that it changed the quality of her Hindustani music. Thanks for bringing this up.